When designing your living room, it is important to maximize its practical use without compromising on style. Living rooms are one of the most commonly used areas in a home, therefore, its design and layout affect the room’s functionality and usefulness to homeowners. Don’t let your living room go unnoticed, but start by redesigning with our five easy living room design tips. Tip 1: Invest in high-quality materials. Sofas and blankets on clearance may seem like a good idea at the time, but you are compromising your comfort for an inexpensive item. Always make an investment on items that you will touch or feel often because they increase your level of comfort. Tip 2: Save money on decor. Decorative pieces are meant to sit still and will not move around often; therefore, you can spend less money on these items. They are less likely to break because they are not being touched. Tip 3: Invest in furniture. Furniture is an essential item in living rooms and its ease of use should be a priority for homeowners. The higher quality the item, the less likely you are to have to replace a broken hinge or doorknob. If you are worried about cost, try buying items that have more than one purpose such as a coffee table that doubles as storage. Tip 4: Do not go overboard on trends. Trends are not meant to last a lifetime. Therefore, homeowners should focus on items that will remain timeless. A trendy item may seem like a great investment, but odds are it will go out of style within the next five years. If you are set on buying trendy items, stick to a budget so that you will not need to replace expensive items quickly. Tip 5: Invest in great flooring. Flooring is a good investment when you use timeless, durable materials. Start with the best material and express yourself in original patterns and colors. Start with a classic look of stone or tile and find the pattern that best expresses your personality. Try wood-look tile to get the classic look of wood floors without the maintenance associated with wood. With a solid foundation of a classic floor, your room is sure to be successful. 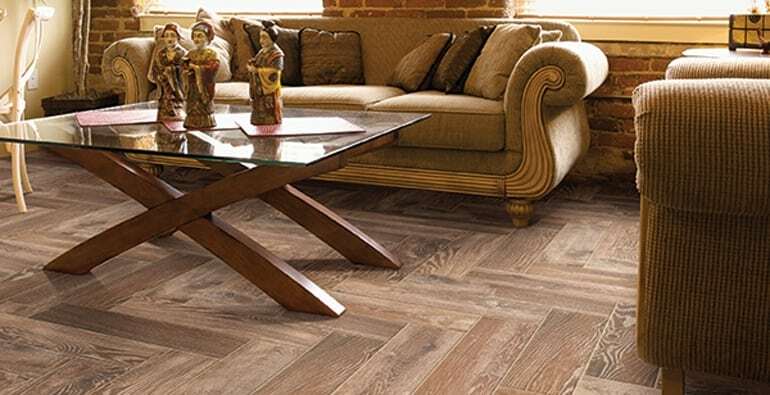 We would love to help you find the perfect flooring for your living room. Visit one of our showrooms or find us online for more information. We look forward to helping you find the perfect flooring.